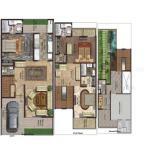 1) 3 BR+D/D+ Terrace Garden + Kitchen + Family Lounge + Store + Servant .Room + Porch +Dressing +3 Balconies + Expandable Area. 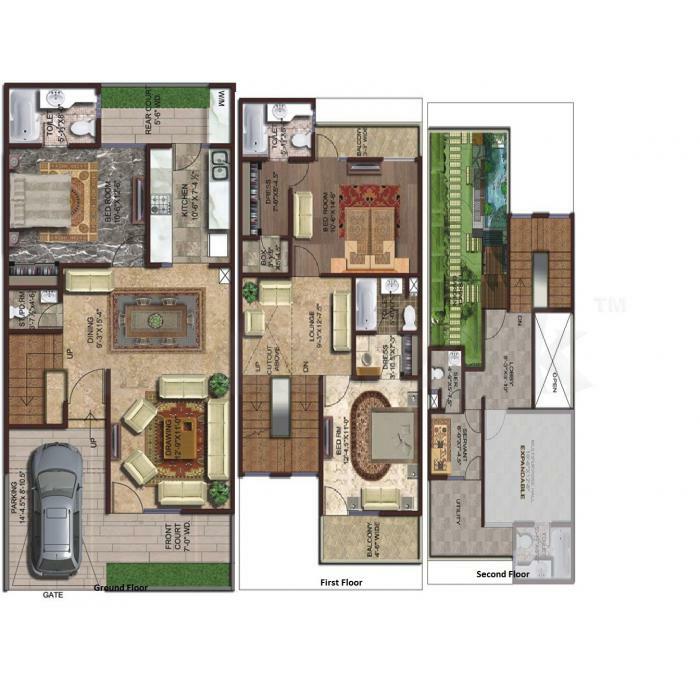 Size is1850 sq.ft &Price is 92lacs. 2) 4 BR With Dressing + Porch + Front Garden +Living Room + Family Lounge + Kitchen +D/D +Puja Room + Store + Servant Room + Terrace Garden +4 Balconies +Expandable Area. Size is 2525sq.ft & Price is 1.25 Crore. 3) 5 BR With Dressing + Porch + Front Garden +Living Room + Family Lounge + Kitchen +D/D +Puja Room + Store + Servant Room + Terrace Garden +4 Balconies +Expandable Area. Size is 2925sq.ft & Price is 1.5 Crore. Rejuvenation Club - State of the art gym, spa, indoor pool, yoga and meditation center. 1) 1Km from Sec 120. 2) 4 km from Sai Mandir. 3) 4.9 km from Fortis Hospital.